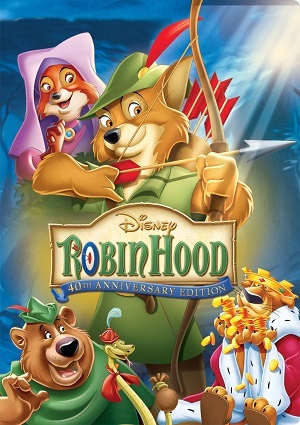 Robin Hood and Little John are a fox and a bear that live in the Sherwood Forest. They steal from the rich and give it to the poor people, as well as helping all those other animals that live in the forest, which includes kids. Some of the children rabbits are playing with an arch when an arrow falls into the grounds of Maid Marian’s castle. When the rabbits cross the wall to recover the arrow, they meet Maid Marian, who explains to them that she and Robin Hood used to be in love when they were younger. Decided to bring that love back, the rabbits convince Robin Hood to participate in an archery tournament.